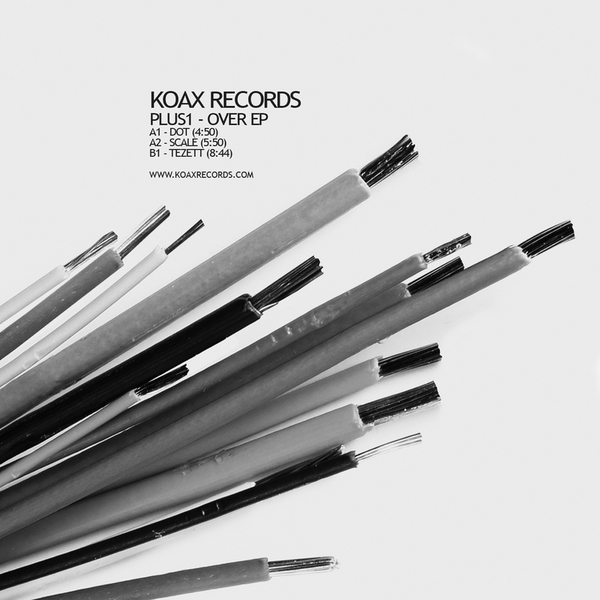 Wicked weirdo techno from new producer Plus1 for the freshly minted Koax records on the 'over EP'. Opening cut 'Dot' maes use of strange but effective schaffel triplets, dub tech stabs and a freaky groaning synthline that will cause some strange reactions on the dancefloor. 'Scale' is another freaky dark cut, this time operating on a more standard techno rhythm but placed inside some tricky reverbs and containing deliciously chewy stabs providing a new angle on dub techno. The longer B-side is reserved for 'Tezzett', unfortunately not quite as strange as the other cuts, but laid down long and deep inna dub-tech-house style with added neon glowing synths for a fresh variation.